Phenotype and function assays are critical for selecting the top clinical antibody candidates with the desired characteristics. The Intellicyt iQue Screener PLUS supports cell-based assays, by detecting target proteins in their native conformation on the cell surface, which is a better indicator of in vivo behavior. The iQue Screener PLUS platform lets you perform rapid multiplexed analysis of immune cell function through simultaneous analysis of cell-mediated cytotoxicity, cell health, function, activation, phenotyping and cytokine profiling. Epitope Mapping: Rapidly detect and visualize epitope regions for hundreds of clones with high sensitivity, and validate your data with additional information on cell health and viability— all in one assay. ADCC Assays: Discriminate between effector and different target cell populations in the same sample using multiplexed screening assays. 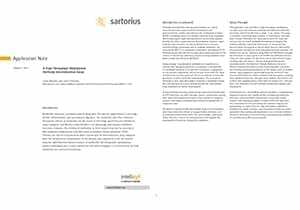 Download this application note to learn how a high throughput, multiplexed, no wash assay was used to simultaneously measure antibody internalization, antibody specificity, and cell health using only 10uL sample. 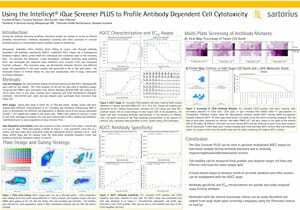 Download this poster to learn how the Intellicyt iQue Screener PLUS and integrated ForeCyt software enabled ADCC profiling by evaluating multiple cell death endpoints, and quantitating secreted proteins/cytokines in a single assay.